Mercedes will have fewer sets of the hypersoft tyre than any other team at next weekend’s Canadian Grand Prix. Pirelli has revealed each driver’s selected sets ahead of the seventh race of the 2018 Formula 1 season, with most drivers picking either seven or eight sets of the tyre supplier’s softest compound, which made its debut in Monaco last week. 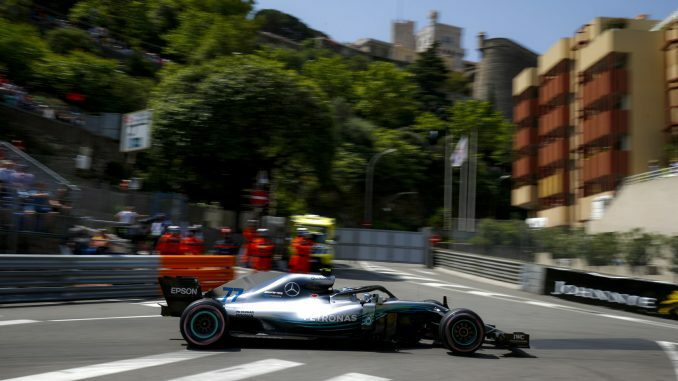 However, Lewis Hamilton and Valtteri Bottas will have just five sets of the pink tyre, while opting to bring the same number of ultrasofts – more than any other driver will have at this Grand Prix. 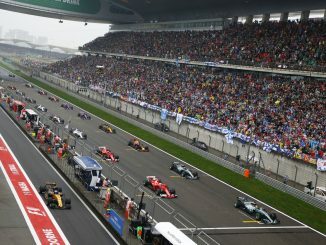 Mercedes’s main rivals, Red Bull and Ferrari, have both decided to go with eight sets of hypers, along with three ultras and two supersofts. 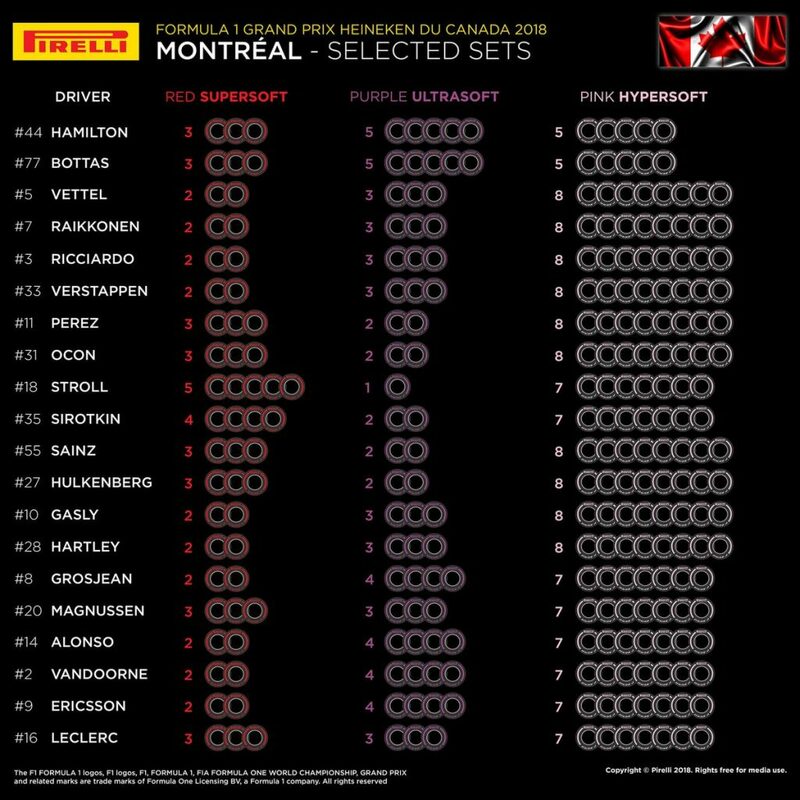 Force India, Renault and Toro Rosso are also banking on the hypersoft being the best tyre for Montreal. Lance Stroll is the only driver not to have multiple sets of the ultrasoft tyre for his home race. The Williams driver has more of the supersoft tyres than any other driver on the grid, which is the hardest compound available for this race. 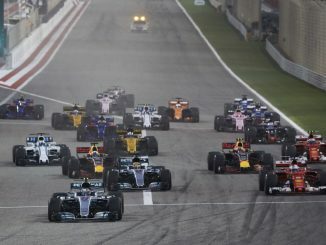 Most teams have elected to give the same number of each compound to both drivers, but Williams, Haas and Sauber have split their selections. Charles Leclerc and Romain Grosjean, along with Stroll, will each have one set more of the supersofts than their teammates. The Canadian Grand Prix uses the same tyre compounds that were in action at the Monaco Grand Prix last Sunday. 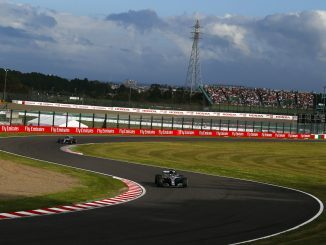 In that race, the supersoft tyre actually proved to be faster in race conditions than the ultrasoft, with Sergey Sirotkin setting the fastest lap on the supers – almost a second quicker than Hamilton’s best on the ultras.